This, to me, is a really pretty, sparkly creamy kind of colour that I thought would look absolutely beautiful for a bride, bridesmaid or anything to do with a wedding. It's simple but with a little sparkly twist. Play The Peonies is a stunning creamy colour that I can never decide exactly what shade it is. Part of me wants to say cream, whilst another off-white. Then there's something that makes it look like a white polish that I've managed to contaminate with a pink or red shade that has given it a pinkish tinge, even though I am fairly certain that I haven't. I think that ultimately, it is a very pale pale tone, that is soft and subtle. It's the kind of shade that looks beautifully subtle on its own, but can look absolutely fantastic with a bit of sparkle of nail polish. It's just really adaptable, which I always love. I'm not going to lie. 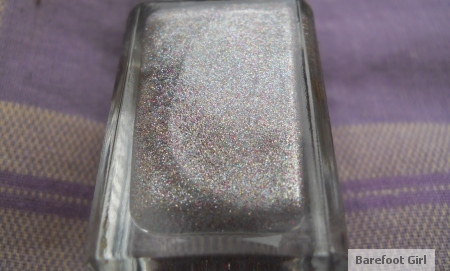 I picked this polish up from Superdrug for one reason, and one reason only: it was so darn pretty and sparkly and oooh!! This nail polish, for me, is like a normal girls diamonds. I'm not really into diamonds and what-not, so yes, this is definitely my diamonds. It's just twinkly and sparkly and makes me think "wow". 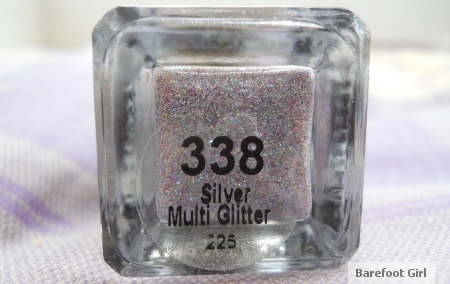 And it's funny because the name "Silver Multi" is quite confusing, because you kinda wonder how it can be both silver and multi-coloured, and yet, it really is. The base kind of colour, that is very fine seems to be silver, and then the very fine glitter is multi-coloured...I think. It's such an amazing colour that I can't entirely tell. What do you think of these sparkly nails?